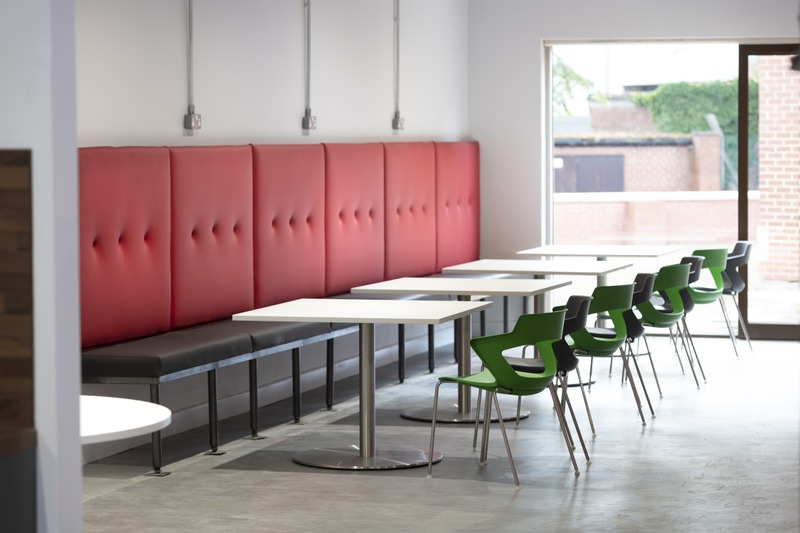 Building Interiors delivered a full Fit-Out project consisting of open plan office space, breakout, canteen, meeting areas and Boardroom. The scheme included cleaning & sealing existing ceiling details, creating feature bulkhead & column details, architectural glass, feature walls, new aluminium windows, bespoke seating and creative pipework installations. New Furniture ranged from stunning Vitra pieces to contemporary systems furniture. 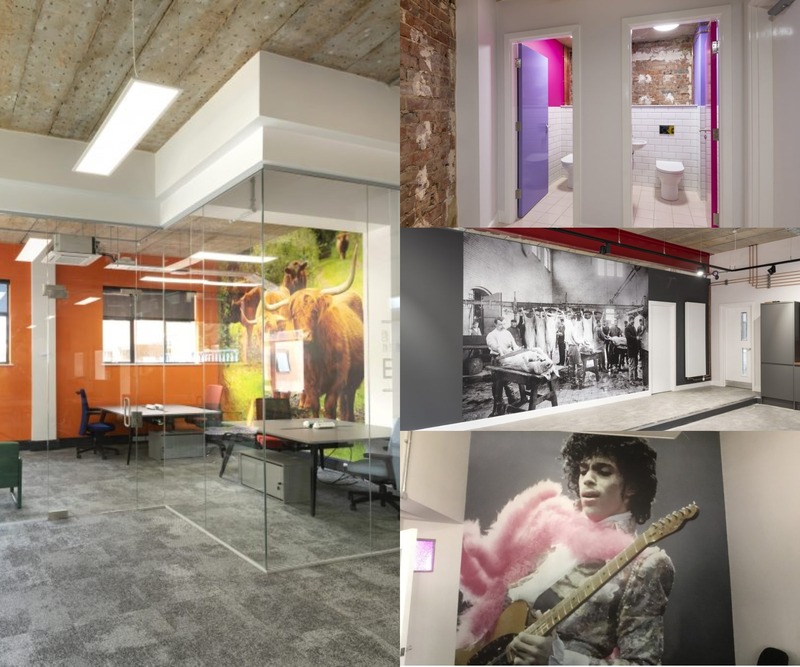 We very quickly understood that the look and feel the client wanted was very different to the typical office fit out. A lot of the details could not be determined until after the strip out phase and the features were uncovered. For this reason, the design process was ongoing on a week to week basis and heavily discussed and agreed with the client. For instance – a carpet finish was planned for the reception until we uncovered a magnificent mosaic tiled floor which we then restored and refurbished & in the office area we uncovered the original fire glazed wall tiles which were painstakingly stripped and restored.